In Ulaanbaatar, Mongolia, we provide English, Mongolian, and Chinese translation and interpretation services by our translators and interpreters in Ulaanbaatar, Mongolia. 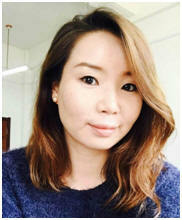 Our Mongolian translator and interpreter is a talented lady who had overseas experiences in both China and South Korea. She speaks fluent English, Mandarin Chinese, and Mongolian. Please see below for her resume. o Thesis; Research on Mongolia's price changes in housing market and their impacts. o Korean language course; grammar, speaking, listening, reading and writing business letters. o English language course; critical writing and intensive grammar, public speaking, confidence building, critical thinking, conversation fluency, American accent for personal and professional development. o Transacted several bank accounts of clients; withdrawals, deposits, opening, closing, loans, savings, time deposits, dollar accounts etc. o Issued negotiable items; cashier checks, travelers checks, money orders etc. o promoted financial institution's products; loans, mortgage, pension etc. o Balanced the vault, cash drawers, ATMs etc. o Translated company documents from English to Chinese and vice versa. o Translated technical manuals from Chinese to English. o Carried out correspondence in Chinese on behalf of the company. o Translated company documents from Chinese to English and vice versa. o Helped in administrative tasks of the company. o Took notes during meetings. o Helped in administrative tasks. o Preparing and researching company documents. o Participated in education and training project of labor marketing. o Carried out research for the company. Samuel is a court certified Chinese translator. As one of our Chinese translation teams in Ulaanbaatar, he coordinates our translators and interpreters in Ulaanbaatar. He has had more than 20 years of translation and interpretation experience in the US, and more than 3 years of experiences in Asia. He is an asset for our translation team in Ulaanbaatar.